This updated 3 bedroom 1 bath charmer is sure to make you feel at home! from the tranquil landscaping in the front and backyards to the large decks for those summertime barbecues, this is the perfect place to call home! the home features its original charm and character with beautiful upgrades to suit everyone's needs. The home also has a very spacious layout! As you walk into the home, you will find an open concept layout for the dining, living room and kitchen areas. There is one bedroom off of the living room and the other two bedrooms can be found down the hallway from the entrance of the home. The updated bathroom is off of the laundry room which has outdoor access to the backyard. There is also a detached one car garage for parking or extra storage, just of the quiet street. 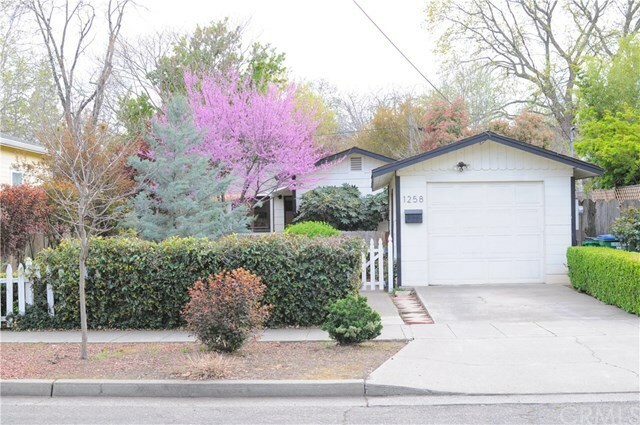 All of this is less than 1 mile from Chico State campus and downtown! Directions: From Broadway, right to W 11th, left to Normal Ave. House will be on right.